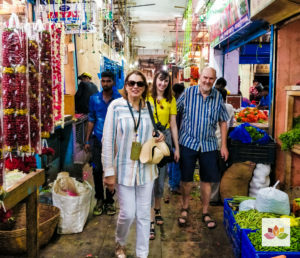 This Bangalore walking tour will give you the chance to absorb the sights, sounds and flavors of Bangalore’s historic market place “pete”. 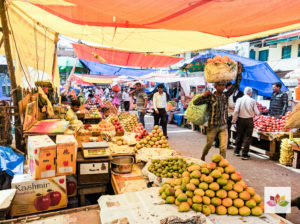 You will also have the chance to watch the lively exchange between local residents and stall owners at the flower market, buy fresh local produce from fruit vendors and savor delicious snacks from hidden gems in the market. 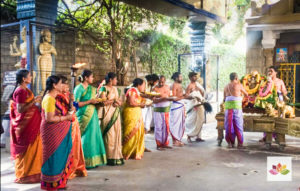 Learn about Bangalore’s 500 year history and its connection to the world. Visit beautiful South Indian temples and engage in conversation about religion. We will explore its History, Culture, Architecture & Festivals. Whether you are a first time visitor or a local resident there is something for everyone on this tour. All prices listed are for exclusive private tour. For larger group enquiries or students group please drop an enquiry and we will get back with a custom quote. We start the tour at sharp 8:00 AM at the meeting point. Details about places we will be covering on this tour are below. We will take a break in between at 8:45 AM for breakfast and 11:00 AM for some fresh coconut water. This is the oldest part of Bengaluru city founded in 1537 by a local chieftain named Kempe Gowda. The overall layout and cardinal roads of Bengaluru Pete have remained unchanged for all these years. Today it is a sprawling marketplace that that brings traders and buyers from all over southern India. Throughout its history it has been inhabited by communities of people and seen several migrations as the control of city changed hands. All of this has contributed to a diverse culture, heritage & cuisine. Here we learn the founding stories of Bengaluru and building of the city. 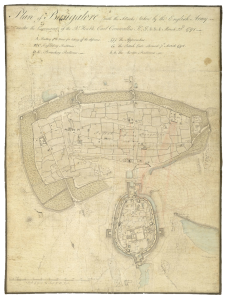 We learn about the early layout of the city and architectural influences. 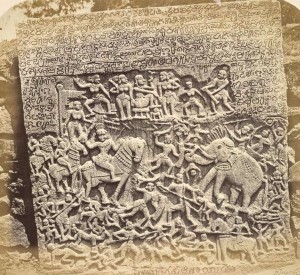 We get a glimpse into the culture and festivals of early Bengalureans and juxtapose it to the life today. We learn about different communities that make up much of pete today and their lives. We will stop for a refreshing breakfast at a locals favourite. The food will be freshly prepared in hygienic conditions. You can eat to your hearts fill here. All food on offer is vegetarian. 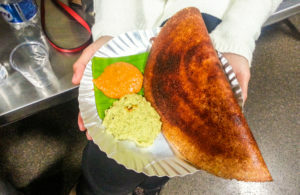 It is one of the largest markets dealing with commodities in Bengaluru city. It is named after erstwhile Raja of Mysore who built it, Krishnarajendra Wodeyar. 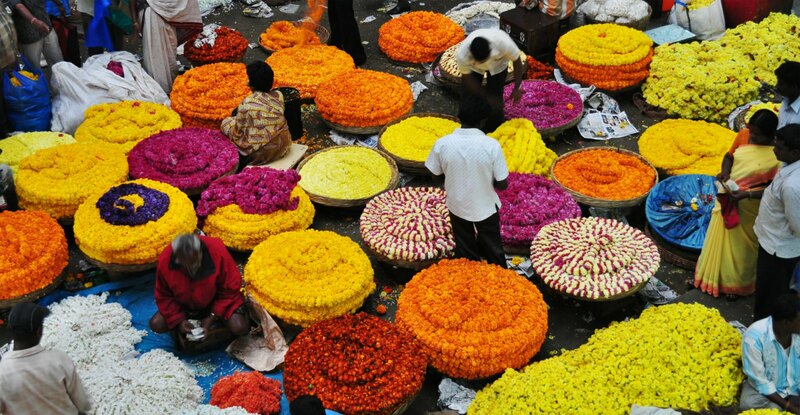 It houses one of the largest flower markets in Asia. 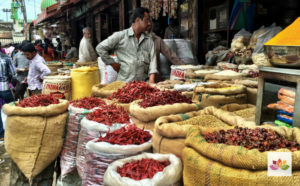 Here we will visit spice shops, fruit and vegetable vendors. We will visit the flower market and learn about the Industry. 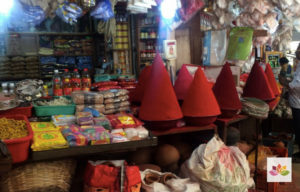 Learn interesting trivia and stories associated with items on sale and get an insight into local culture. 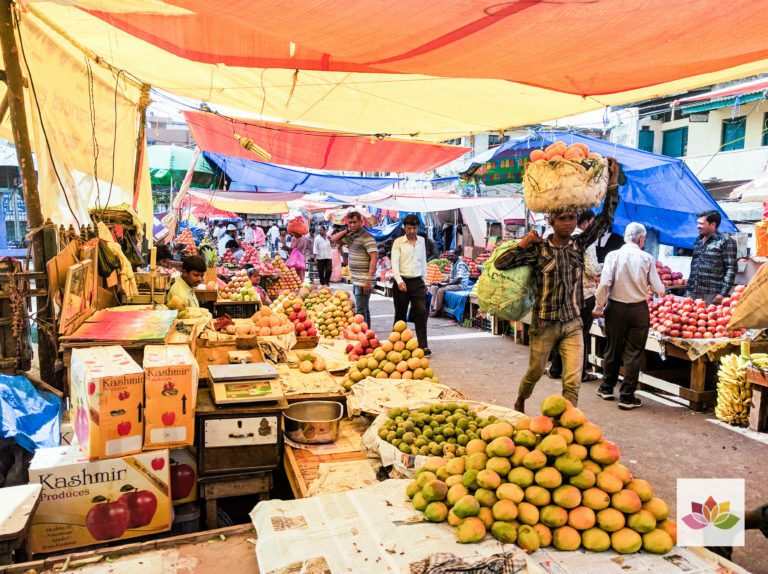 The sights, smells and the sounds of this market is something you have to experience! A mud fort was built in 1537 by Bengaluru's founder Kempe Gowda. Later in 1761, Hyder Ali replaced this with a stone fort. 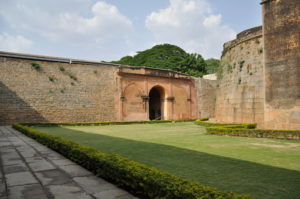 This fortification played a key role in Anglo-Mysore wars between the British forces and Mysorean Army. Learn about the battles that were fought here and shaped the history of entire region. Learn about its connection to other world events happening around the world at the time. Only a small portion of northern gate of the original fort remains today, but this is enough for us to get an idea of the strategic structure and architectural know how of those times. We will learn here about stone architecture, technologies used in quarrying and building a fort such as this. Summer palace is a good example of Indo-Saracenic architecture with influences from Islamic and Hindu styles. Famous for its peacock arches the structure is mostly built from teak wood and brick with plaster work. 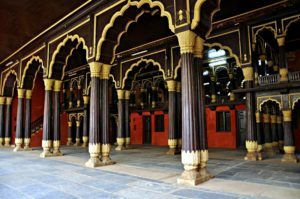 This palaces served the Mysore Kings and then the British administration. We will learn about the architecture of the place. We will hear stories of the Kings who challenged and troubled the British. Understand the functionality of the palace and its importance in regions history. This temple built in 1689 in south indian style served as the royal chapel to the Mysore Wodeyar family who had a palace right next to it. Later Islamic rulers of Mysore built a palace in Indo-Saracenic style but retained the temple as their royal chapel. The oldest parts of the temple are built in stone and have beautiful relief works all over. We will learn about temple architecture here. 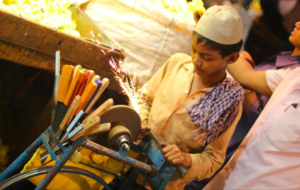 Learn some basic tenets of the religion and how it is different from western religions. We will participate in rituals and learn about the symbolism behind them. What is not included on this tour? Is there a dress code? Should we carry anything? We would recommend clothing that covers shoulders, knees and midriff at all times for both men and women. This is to be respectful of the local culture. Wear shoes or footwear that are comfortable to walk in. We will be walking a lot on this tour. In summer bring sunglasses and a hat/cap. 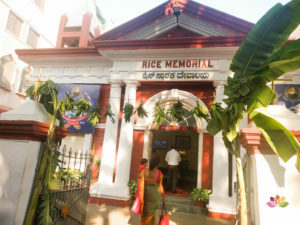 START POINT: Entrance Gate, State Bank of India, Mysore Bank Circle. The start point is a famous landmark that most Bengalureans will know. We will also send you a location marker on google maps for your reference through email. We will also share contact details of your guide before the commencement of the tour. You can contact the guide for directions if necessary. We provide A/C Toyota Innova (SUV) only and it can seat 5 to 6 people. The cost varies between INR 3000 to 4000 depending on the location of your hotel. If you want us to arrange this please indicate so on the enquiry form and mention the hotel name in the comment section.